This privacy notice explains what types of information will be gathered about students, and how this information will be used. Name, address(es), telephone number(s), email. Your country of birth, nationality and date of entry to the UK. Any disability/access requirements or medical issues. Communications relating to decision we make. For international students - passport details, details of previous study in the UK and previous visa information or government-issued identification number. Bank statements or utility bills may be requested for verification purposes. Where we need to carry out our legal obligations, or comply with relevant legislation. Where it is needed to assess your capacity to study on health grounds to enable us to offer you the support, for example access or accommodation requirements if you have a disability, subject to appropriate confidentiality safeguards. To help you arrange sponsorship or grants. Data that we and our staff generate about you, such as through your attendance at recruitment fairs, open days, seminars and workshops. From your school or previous establishments, or employers and via qualifications. Email or telephone correspondence you have with NTU. The information provided at application stage, will form the basis of your student record, if you are accepted onto a course at NTU. To provide you with information on products or services that you may request from us, or which we feel may be of interest to you, and where you have given consent for us to contact you for such purposes. To provide management statistics through research using applicant data which may be used by NTU to enhance the applicant and student experience. Where you have agreed for the purpose of consulting, informing and gauging your opinion about our products and services, for example; surveys. To communicate with you, and notify you about changes to our services. Internal data matching – to enable us to merge certain types of data collected by NTU to identify known and unknown users and map interactions with NTU’s Digital Services to CRM platforms and applications, for purposes of personalising content, understanding audiences, analysing marketing performance and targeting advertising. Within NTU: Associated entities, departments or services are provided data by us, and personal information will be made available to them if necessary for the provision of Services, account administration, marketing, student and technical support, for instance. Our business partners: We occasionally partner with other organisations to deliver co-branded courses, provide content, or to host events, conferences, and seminars. These partners include, but are not limited to: UCAS, Nottingham Trent International College, GB Group Plc and BSB Soliciting. As part of these arrangements, you may become a student of both NTU and our partners, and we and our partners may collect and share information about you. NTU will handle personal information in accordance with this Privacy Notice, and we encourage you to review the privacy notices of our partners to learn more about how they collect, use, and share personal information. Our third-party service providers: We partner with and are supported by service providers both in the UK around the world. Personal information will be made available to these parties only when necessary to fulfil the services they provide to us, such as registering, required pre-course information, direct marketing services; advertising; data analytics and delivery. Our third-party service providers are not permitted to share or use personal information we make available to them for any other purpose than to provide services to us. Anonymised or Pseudonymised data will be shared with placement providers as part of the Social Work Suitability Panel. 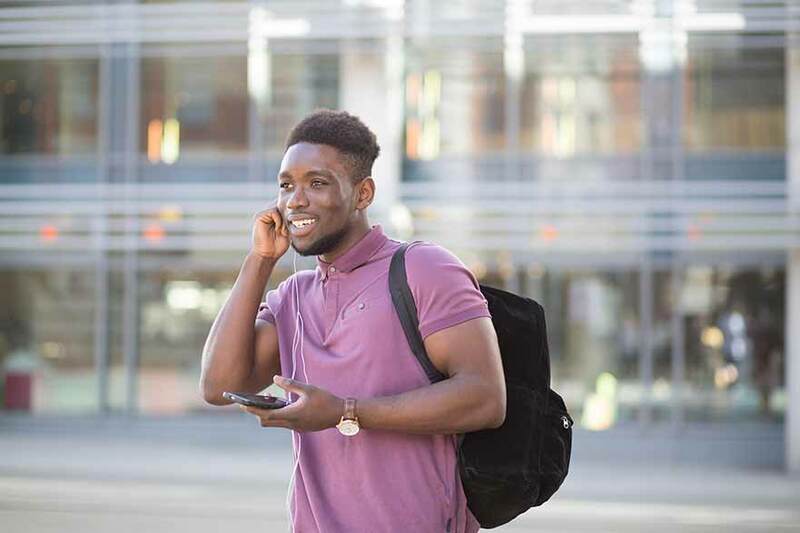 If you register as a user of an e-registration Service in order to apply for Higher Education, your personal information, including any sensitive personal information you provide, will be made available to the organisation to which you have applied. In order to consider an application fully, your personal information may be forwarded on to respective institutions. You can access our full Data Retention Schedule shortly. We take appropriate steps to ensure that personal information is processed, secured, and transferred according to applicable law. In some cases, we may need to disclose or transfer your personal information within NTU or to third parties in areas outside of the UK. The areas in which these recipients are located will vary from time to time, but may include the United States, Europe, Canada, Asia, Australia, India, and other countries. When we transfer personal information from the European Economic Area to other countries in which applicable laws do not offer the same level of data privacy protection as in your home country, we take measures to provide an appropriate level of data privacy protection. In addition, you have the right to make a complaint to a data protection regulator. The Information Commisioner's Office contact details are on the ICO website.